I just started blogging a little more than a month ago, yes I know Newbie to the extreme. I’m getting the hang of it though. So far, I am in love with the community. I am a very social person so it’s just wonderful to be a part of something bigger. It’s also interesting knowing some people you are meeting are half way across the world. I’m definitely YA all the way. If it’s YA I will read it. I prefer fantasy and paranormal YA, but I don’t mind contemporary. As long as there is action and romance somewhere in the book, I’m down. I really don’t know how some people are able to straight up answer this question. I definitely don’t have one favorite, but I do have authors whose books go on the INSTANT-READ-LIST. Jennifer Armentrout and Cassandra Clare are instant buys. I LOVE all of their series. When they have a new book coming out, I don’t even need to read the synopsis, I want it. 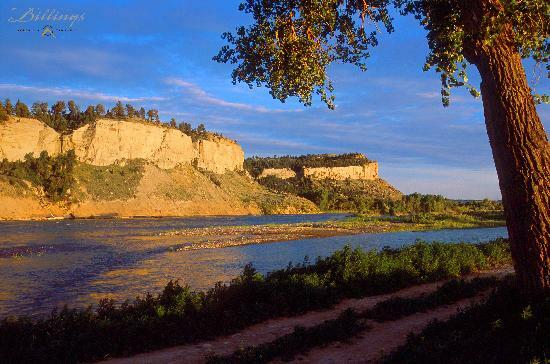 I live in Billings, Montana - the largest city in Montana at about 110,000 people. The best description of Billings is middling. To the east of Billings, the landscape is desolate and ugly. To the west of Billings, the landscape is gorgeous. Billings is somewhere in between. The city itself is very western. I grew up in the west - I've lived in Arizona, Washington, Idaho, and California. Before moving to Montana though, I didn't realize that people actually wear cowboy hats, boots, and belt buckles every day. I figured those were only worn for costumes. Turns out large amounts of people wear those things entirely unironically. I don't hate Billings (it has a Barnes & Noble, so it least there's some civilization), but I am hoping that we will move away in the next few months. 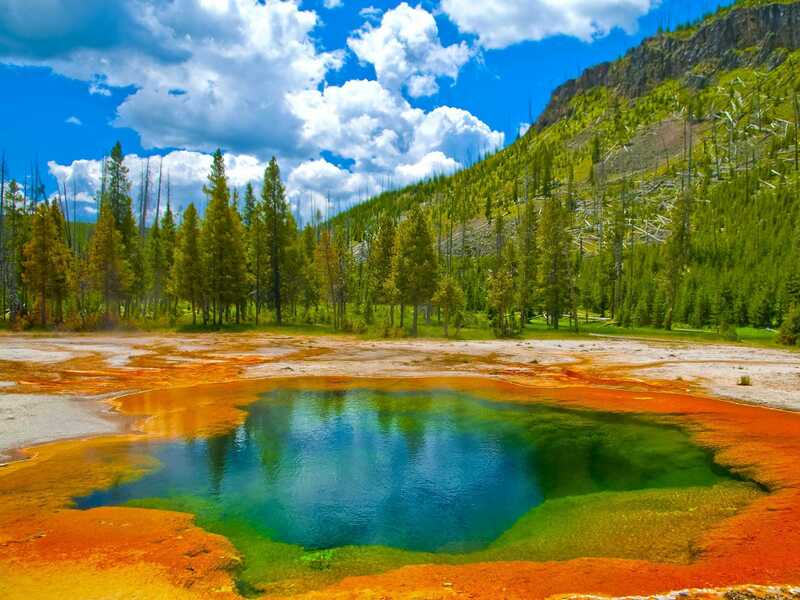 When you do go west of Billings, you can visit Yellowstone or Glacier - two absolutely gorgeous parks (although the prettiest parts of Yellowstone are in Wyoming). Social Share! What is your favorite social network and leave us a link so we can join you! Barnes and Noble (or any bookstore) really is the emblem of civilization. At least you're surrounded by pretty. So much pretty! I love your pictures! 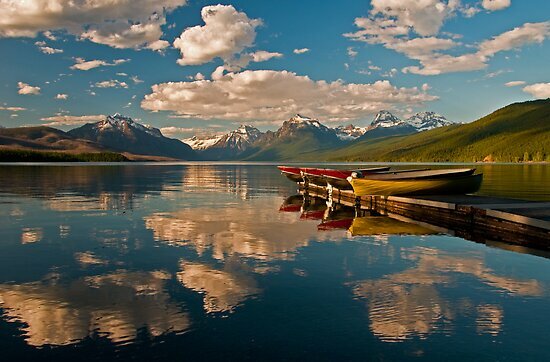 I would love to visit Yellowstone or Glacier someday. :D Happy Friday! I live in Europe, in Portugal, and one of my dreams is to travel to the United States and visit all those spots we see in the movies. Happy FF! Wow! So pretty! St. Louis doesn't have that kind of picturesque settings! 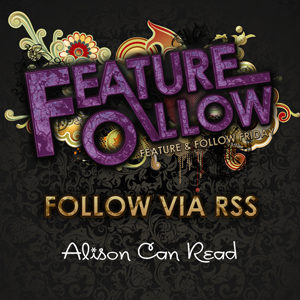 WOW, those pictures are amazing, Alison! And I wonder if I'd have a heart-attack if I lived in a place with actual cowboys *grins* or if I'd be able to keep fiction from reality in any way. Beautiful pictures! They look like paintings! These are probably the most beautiful pictures I've seen today. The colours are phenomenal! I grew up in the middle of no-where Minnesota. It was 45 minutes to the nearest bookstore. So Billings is one up on my hometown. Now I live in a city and one of my favorite things is that I'm 10 minutes tops from a bookstore! You are probably already aware that the iphone is no ordinary phone. But have you know all the secrets that your iphone holds? The article suggests some great ways for your iphone.